I just finished this piece this week. 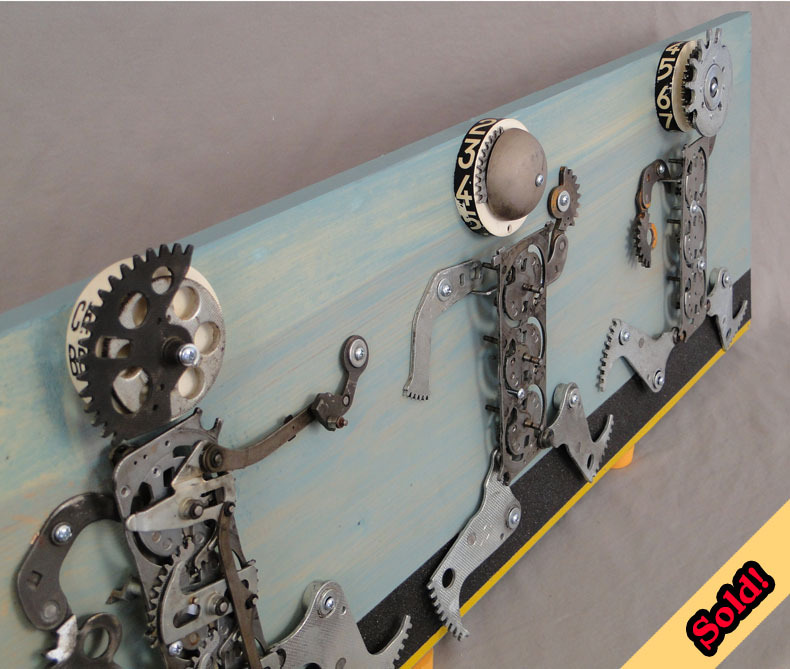 It is made completely from a disassembled old cash register. I always try to “go the extra mile” (in what I do, not running!) and I think the world would be a better place if everyone took this to heart!